Baahubali: The Beginning (stylized as bãhubali; English: The One with Strong Arms) is a 2015 Indian epic historical fiction film directed by S. S. Rajamouli. The film was produced by Shobu Yarlagadda and Prasad Devineni and was simultaneously shot in Telugu and Tamil. 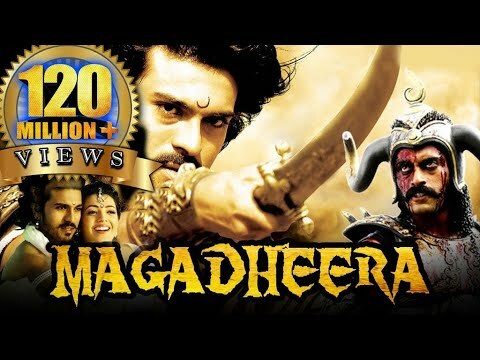 The film stars Prabhas, Rana Daggubati, Anushka Shetty, and Tamannaah in the lead roles, with Ramya Krishnan, Sathyaraj, and Nassar in supporting roles. The first of two cinematic parts, The Beginning is a tale of the lost rightful heir of the fictional kingdom of Mahishmati, who learns about his true identity while falling in love with a rebellious warrior, who (among with her group) intends to rescue the former queen of Mahismati. The film was conceived by Rajamouli's father K. V. Vijayendra Prasad, who randomly told him a story about Sivagami, a woman who carries a baby in her hand while crossing a river, and a few years later about Kattapa, which intrigued Rajamouli. His fascination with mythology and the tales of Amar Chitra Katha comics further fueled his interest in the story. However, it took the writers three months to finalise the final draft. The soundtrack and background score were composed by M. M. Keeravani while the cinematography, production design, and VFX were handled by K. K. Senthil Kumar, Sabu Cyril and V. Srinivas Mohan respectively. The film was made on a budget of ₹1.8 billion, making it the most expensive Indian film at its time of release. The film opened worldwide on 10 July 2015, garnering critical acclaim and record breaking box office success. With the worldwide box office gross of ₹6.5 billion, it became the highest-grossing film in India and the third-highest grossing Indian film worldwide, and the highest-grossing South Indian film at the time of its release. 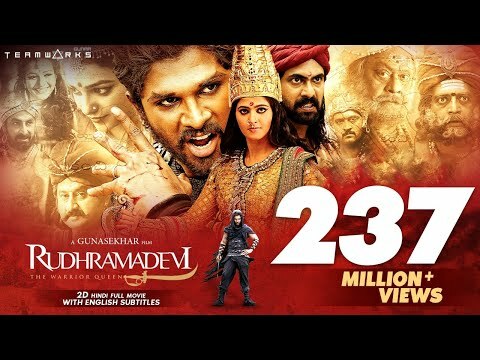 Its Hindi dubbed version also broke several records by becoming the highest grossing dubbed film in India. Both budget and box office records since has been surpassed by its sequel, Baahubali 2: The Conclusion. The Beginning is the highest grossing Indian film of 2015 and the fourth highest grossing Indian film of all time. It received several accolades. It won the National Film Award for Best Special Effects and Best Feature Film, becoming the first Telugu film to win the award. At the 63rd Filmfare Awards South, the Telugu version won five awards from ten nominations, including Best Film, Best Director for Rajamouli and Best Supporting Actress for Krishnan. The Beginning became the first Indian film to be nominated for Saturn Awards, receiving five nominations at the 42nd ceremony, including Best Fantasy Film and Best Supporting Actress for Tamannaah. The film's second and final cinematic part was released on 28 April 2017.